Toothaches are never something that you want to experience. The pain can quickly become unbearable, affecting every area of your life, including your ability to eat, sleep and speak comfortably. When you notice a toothache, the best course of action is to visit your local Arlington Heights dentist. If you have a toothache, come in to Westgate Dental Care to see what our team of elite dentists can do to help your pain, even if that involves one of the most misunderstood procedures in dentistry: The root canal. When the pulp inside a tooth becomes infected, a root canal is often the only way to treat it. This procedure is reserved for cases where infections are deep within the tooth, as opposed to surface cavities. Infections like these can develop as a result of injury, a crack in the tooth, or an untreated cavity. During this procedure, the tooth, and the infected material is removed and replaced with a dental implant. Historically, this procedure was viewed as a barbaric act of dentistry, but in the past few decades, root canals have become much more efficient and less painful. There are a ton of misconceptions out there about having this procedure completed. The biggest one is that it is incredibly painful. While this may once have been true 50 years ago, modern dentistry has made significant strides, especially in recent years. Patients can now expect a much more comfortable procedure than in the past. In fact, there is much less pain involved in treating the severe toothache than a toothache caused itself! Seeking help as soon as possible also reduces the risk of the infection spreading to other teeth. Once the infection spreads, the pain may become unbearable. It is much better to have it treated as soon as you notice an issue. Visiting a dentist’s office can be a very scary thing for a child, especially if the facility doesn’t look child-friendly. Cold and clinical offices do seem frightening and can set a child up for a lifetime of dental phobia. Many adults cite early childhood experiences at dental clinics as the main reason they do not seek out dental care when appropriate. You can reduce the risk of this happening with your child by searching for a dentist that puts the comfort of their pediatric patients first. Finding a compassionate, caring dentist is beneficial to you and your family for numerous reasons. Not only can they put your chide at ease, they are trained in spotting oral health issues unique to children. For example, a child may not complain of a toothache or experience normal symptoms when developing an oral health issue. A highly trained pediatric specialist knows exactly what signs and symptoms to look for, along with the questions they should ask, to find the source of the dental issue. Compassionate dental care also encourages your child to practice good oral hygiene. Some children learn better from kind authority figures outside of their family, such as teachers, doctors, and dentists. A child may care more about proper brushing techniques if the reason why they are important is explained in kid-friendly terms. A skilled and experienced dentist knows exactly how to have that conversation in a way that is likely to be well received. Treatment for this type of deep-rooted infection is typically performed over the course of two office visits. At the first visit, the tooth itself is removed. This is done under local anesthesia, which numbs the mouth, resulting in a relatively pain-free procedure. Once your mouth is numb, the dentist then removes damaged or diseased pulp from within the tooth using a small tool. This inner chamber is then shaped and sculpted, preparing for the internal filling. In severe cases, you may also require an antimicrobial solution to be placed inside the mouth to kill hard to reach bacteria. In most cases, a putty-like material called gutta percha is used to fill-in that internal chamber. The opening is then sealed with a temporary filling. The second visit occurs a few weeks after the first. 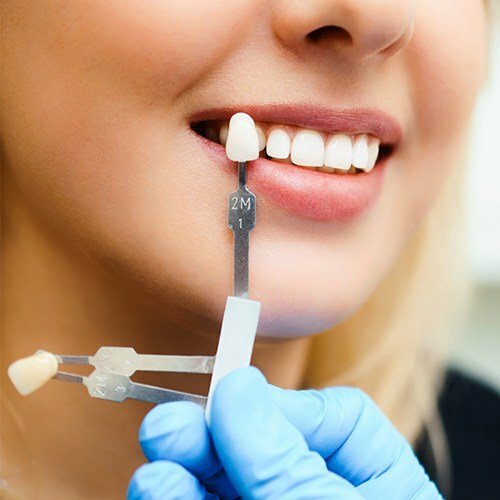 During this appointment, the permanent crown or other restorative equipment is applied to the tooth, sealing the gap supporting the filling, and giving you a healthy-looking smile. An x-ray may also be used to ensure that there are no more bacteria within the tooth. After the procedure is completed, you need to maintain basic oral health to reduce the risk of the infection returning. This means getting your teeth cleaned twice a year, seeing your dentist once a year for a thorough exam, and brushing and flossing at least twice per day. If you are experiencing a toothache, Westgate Dental Care in Arlington Heights is here to help. We have a team of caring and compassionate dentists and oral health professionals who are ready to help you. Some may feel anxious about going to the dentist, which is why we focus on setting you at ease from the moment you contact us. Contact Westgate Dental Care or check us out online to learn more about what sets us apart from the rest!